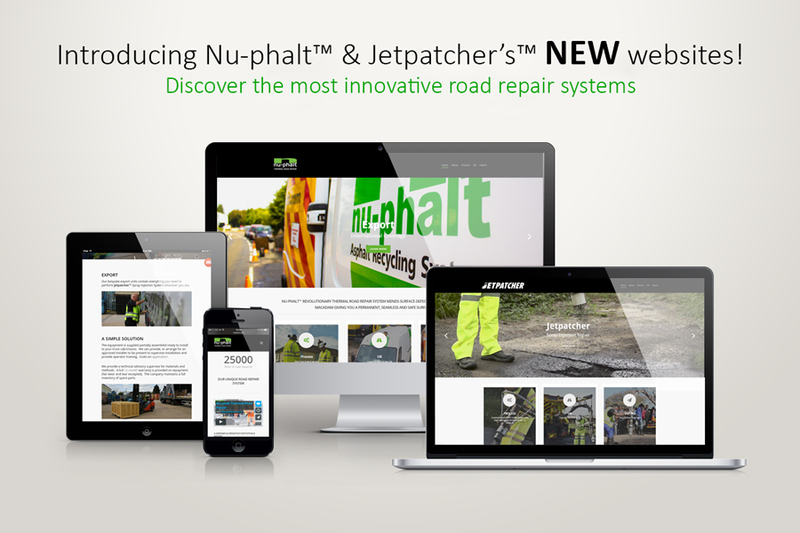 As Nu-phalt™ passed their ten-year anniversary, they can look back on rapid growth and success thanks to their unique patented system and pro-active approach to repairing potholes and other surface defects. The nu-phalt™ Thermal Road Repair System was developed by their team as an alternative to traditional road and pothole repair methods, which are costly, noisy, and create waste and dust. 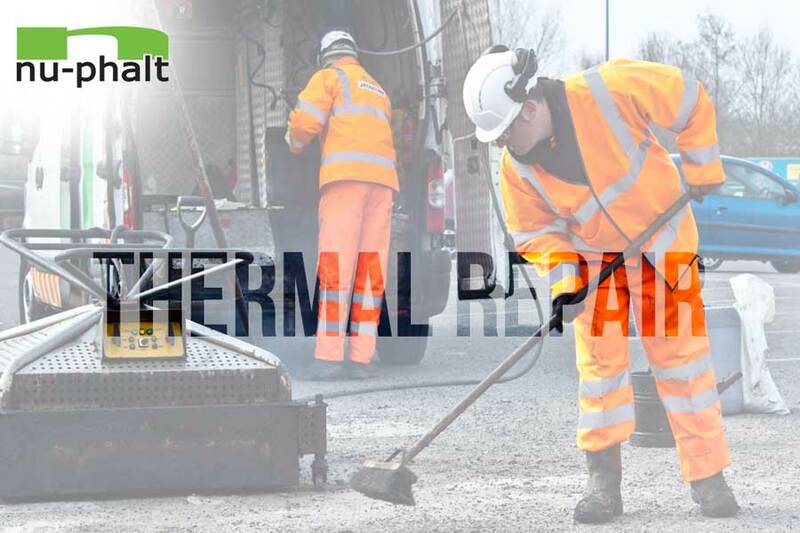 The thermal heater produces a permanent, heat-sealed, seamless repair to re-establish the original integrity of the road, and only a minimum of new material is needed. In order to reduce carbon emissions, minimise disruption to the public and traffic, and facilitate a faster repair, they have created an entire solution in one vehicle. This includes custom-built hot boxes for the new material as well the thermal heater, emulsion, roller, and everything needed for road and pothole repair. Nu-phalt™ have delivered a scheme of trenches for a new electrical infrastructure at Warfield Park. Warfield Park is a Park Home estate, (more commonly known as mobile homes) with some 509 Homes, making it one of the largest in the country, set in 90 acres of woodland with a further 80 acres of woodland and farmland assets. It is nearly unique in the industry, for having generously apportioned gardens and a twisting road network, more akin to a rural village, than the common image of a mobile home site. Nestled between Ascot and Bracknell, Warfield Park has existed in its current form since 1947 when planning was first granted for 22 caravans. Before that it was a private estate, with a Georgian Manor house set in some 300 acres including ornamental gardens, farmland and woodland. Since then, it’s gone from strength to strength. With 479 Residential Park Homes on the main Warfield Park site and a further 30 on its secondary site of Harvest Lea let under 6 month Assured Shorthold Tenancy. In the last few years it has been decided, by the Company’s Board that the existing overhead electric network has become increasingly difficult to maintain due to its age and an inability to find companies, large or small willing or able to maintain it in the long term. Combined with Warfield’s woodland setting and increasingly unpredictable severe weather it is also becoming increasingly exposed to potential storm damage. It has therefore been decided to implement a 10 year improvement programme to instate a new underground electric network and remove the existing overheads, starting with key strategic sections that are most likely to suffer storm damage. 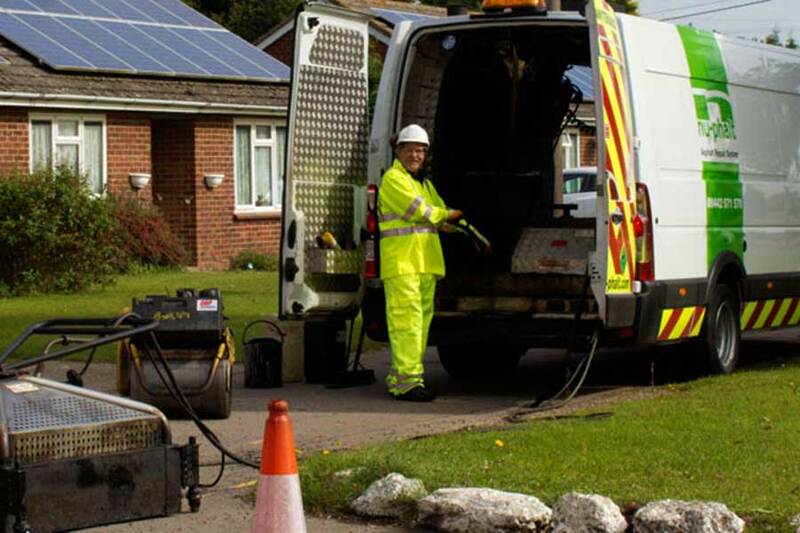 In order to lay the new electrical infrastructure this has required a substantial amount of trenching works to be carried out. Whilst every effort was made to avoid excavating in the road system, this was ultimately an inevitability. 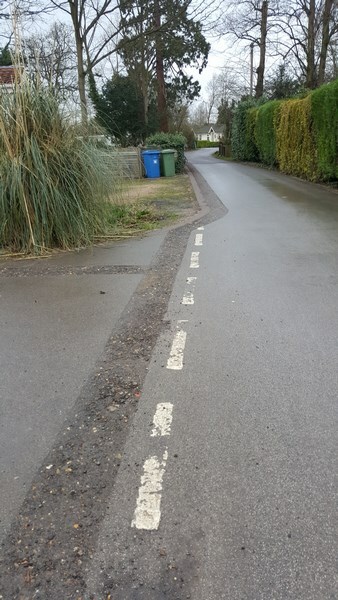 It was therefore a key requirement to reinstate the roadway to a high standard, once the cables had been laid and trenches backfilled. Having used Nu-Phalt™ for some pothole repairs previously they were the obvious choice. Works involved attending to a selection of different utility trenches which ranged from 80m+ x 1m in size to 3m x 1m in size. Before photos attached above. One of the most important objectives was to minimise disruption to Warfield Park residents during normal working hours. As the majority of Warfield’s residents are 50 plus with the majority being of retirement age this means many are around for most of the day. With the system Nu-phalt™ has developed, the footprint of the work area is as small as it can be, Nu-phalt™ were able to keep road closures to an absolute minimum. 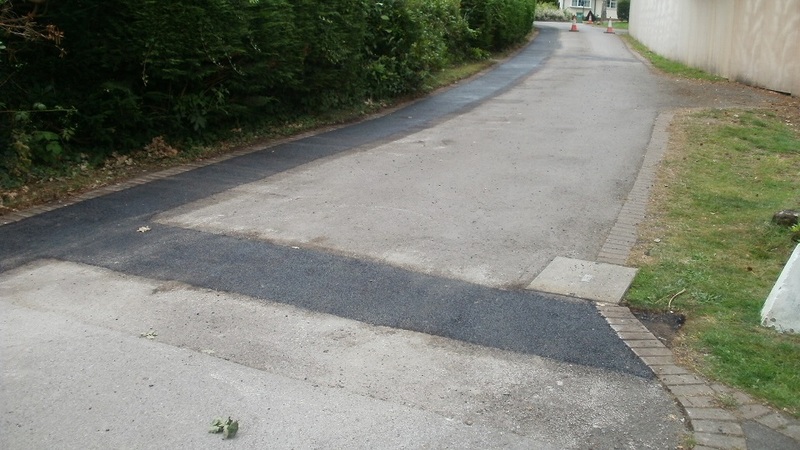 Because of the method of laying/reinstating the asphalt, and heating not just the new but the old as well, it creates a very neat smooth finish. It matches in with the original road surface and is almost indistinguishable after a few months. The seamless finish has also solved the problems which we’ve had in the past, from conventional asphalt repairs, with water seeping into the joints and freezing during the winter, causing more damage to the road and needing to be redone in the spring. 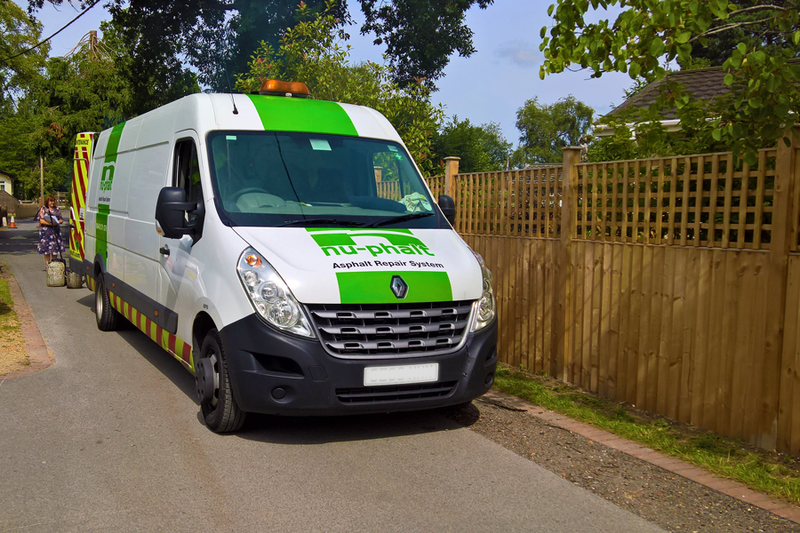 Another key benefit was Nu-phalt’s™ willingness to continue works over the weekend which has allowed us to finish the remedial works inside of 14 days from start date as opposed to a likely 3 weeks’ worth of disruption. 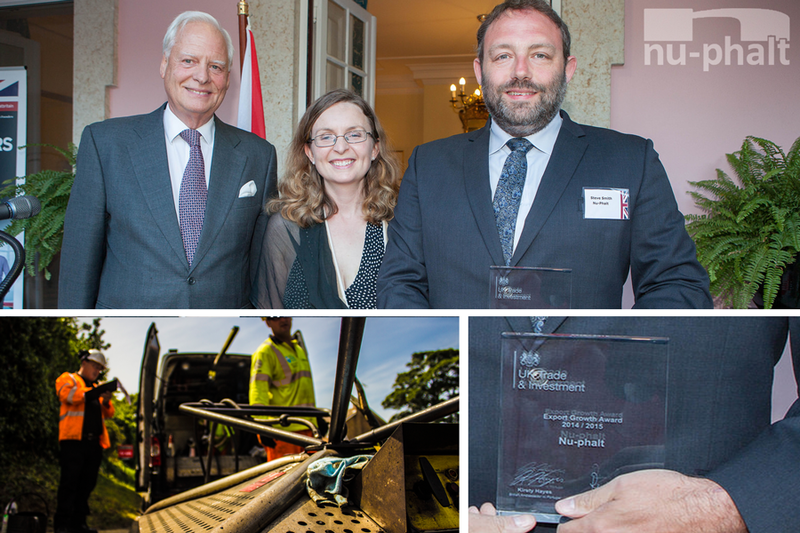 UK Manufacturer nu-phalt­™ are once again growing and developing the business within the export sector. They have created a new innovative system that’s being delivered to the Hungarian market this summer. Not only is the system supplied by the UK manufacturer, the client also receives refresher training on products and maintenance. The Hungarian market for the nu-phalt­™ system has been strong for the business, and they have worked as a distributor over there for more than 5 years. 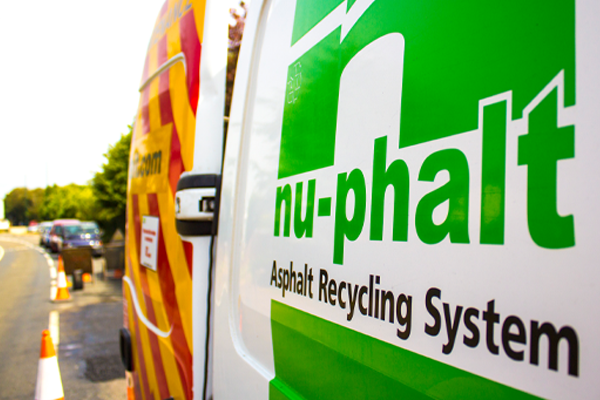 The new system has given nu-phalt­™ a 3 year exclusivity agreement with EnviRoad-eu. 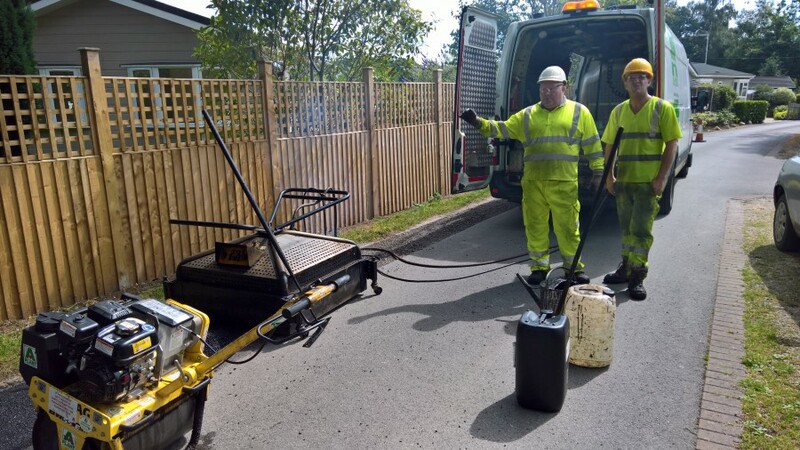 nu-phalt­™ began working with Enviroad-eu back in 2009, with the delivery of their first heater, built into a custom vehicle, during the use of the system enquiries grew and by 2010 they had developed a relationship with OTA Kft in a sole partnership to repair roads. The nu-phalt­™ system is perfect for the Hungarian market as it operates all year round in adverse weather conditions. Therefore, is adaptable to any situation and is highly effective in Europe. nu-phalt­™ have also supplied a ‘stand-alone’ system for the national highways company for trials and evaluation. If the outcome of this is successful then nu-phalt­™ will be increasing the export business by 30% on last year. “During the years a correct and helpful almost friendly cooperation was established with Steve Smith and with nu-phalt­™ professionals that outperforms a simple business relation. We keep working on this cooperation to make it more effective and successful for both parties.